For almost four decades Dana’s Plumber (the Plumbing Pro) has delivered honest estimates and quality services to homeowners and business owners alike. The Plumbing Pro serves the entire greater Kansas City area, including Overland Park, Olathe, Lees Summit, Liberty and Mission. We offer plumbing services to both residential and commercial customers. Though we can handle all your simple plumbing issues – like leaks, clogs and drips, we specialize in sewer replacement, sump pump installation, grease trap installation and bathroom remodeling. We offer FREE no-hassle estimates on all your plumbing projects and will never begin the work until you’ve agreed to the price. As for price we are proud to base it on the project, not by the hour. Whether you are leaking, clogged, dripping we promise to tackle your biggest plumbing headaches with dedication, knowledge and courtesy. Call now (MO) 816-281-1298 or (KS) 913-270-1280. 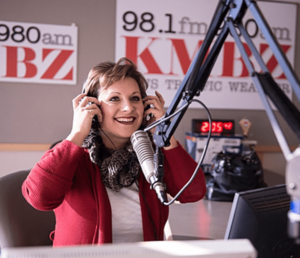 Listen Live to Dana and Parks from 2pm -6pm on KMBZ 98.1 FM. Dont Pay Too Much Get A Free Same Day Estimate! 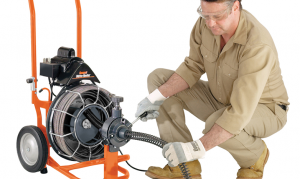 From drain cleaning and rooter services to water line repair and underground sewer replacement – we do it all. All residential and commercial plumbing repairs | backflow testing & valve installation | backhoe & boring work | bathroom remodeling | clogged drain pipes rooter & snake | clogged drain line hydro-jetting | copper pipe | dripping faucets | ejector pumps | electronic pipe & leak locating | emergency plumbing service | faucet replacement | frozen pipe thawing | garbage disposals | gas piping | gas pressure testing | grease traps | hydrants | pipe insulation | plumbing fixtures | PVC piping | running toilets | showers | sinks | septic tanks | sewer gas odor problems | sewer pipe bursting | sewer pipe lining | sump pumps | tankless inline water heaters | toilets replacement | trenchless pipe repair | tubs | valve replacement | vent systems | video pipe inspection | underground sewer pipe replacement | walk in tubs | water conditioning | water drainage | water line repairs | water heaters install & maintenance | water softeners & conditioners | water safety alarms | washer hose | whole house repiping – Available for emergencies too!